A leader with a tippet ring turns over perfectly, and they are light enough to use when fishing dry flies. Just tie the tippet ring to a leader with a clinch knot, and then add the required tippet in the same way. 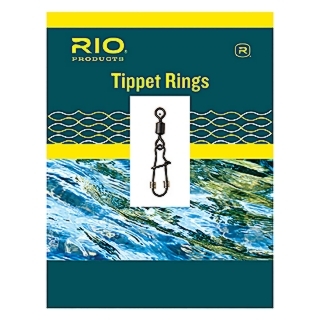 Tippet rings also make it extremely easy to add droppers, and are an excellent choice for European Style Nymphing and for Indicator nymph fishing.